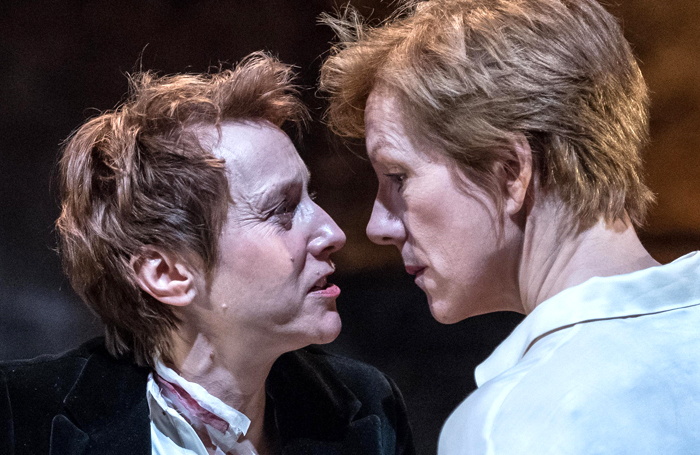 Mary Stuart, starring Juliet Stevenson and Lia Williams, will transfer to the West End next year. The new version of Friedrich Schiller’s play – adapted and directed by Robert Icke – originally ran at the Almeida Theatre earlier this year . It will transfer to the Duke of York’s Theatre from January 13, 2018, with Stevenson and Williams reprising their roles, in which they flip a coin at the start of the performance to determine who will play Elizabeth and Mary. The production runs in the West End until March 31, before touring to Bath, Salford and Cambridge. It runs at the Theatre Royal Bath from April 4 to 14, the Lowry from April 17 to 21 and Cambridge Arts Theatre from April 23 to 28. Mary Stuart is produced in the West End by Fiery Angel, Almeida Theatre, Gavin Kalin Productions and Howard Panter.